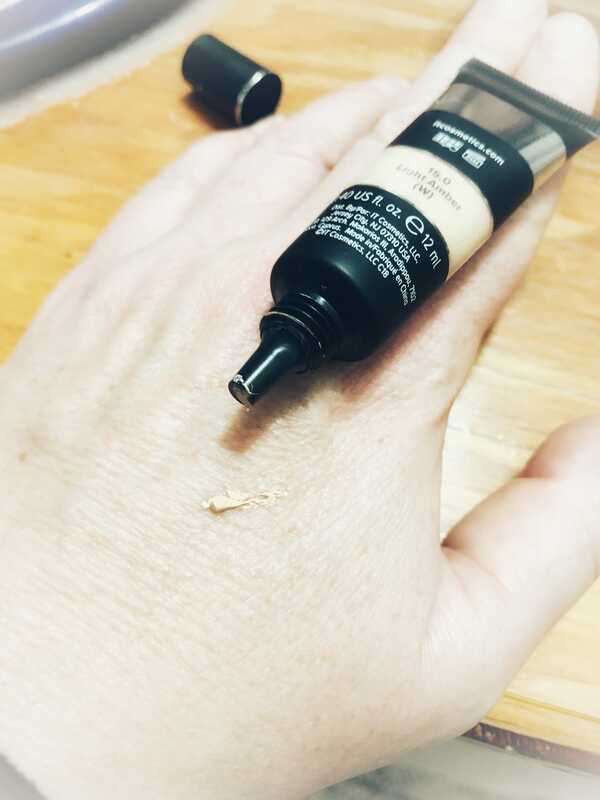 IT Bye Bye Foundation & IT Bye Bye Under Eye Concealer – As Low As $8.50! If your a fan of the IT Bye Bye Foundation or IT Bye Bye Under Eye Concealer, we found some great deals on these right now! I was just in at Ulta for a makeover event they hosted over the weekend, and it was put on by IT Cosmetics. The IT Bye Bye Under Eye and Bye Bye Foundations are their most popular products from what they told me, and I loved them both (particularly the Bye Bye Under Eye product) and so I bought it there, but then realized there was a much better deal on the same products going on at Macys right now, so wanted to save you all a few dollars if you love this stuff as much as I do! 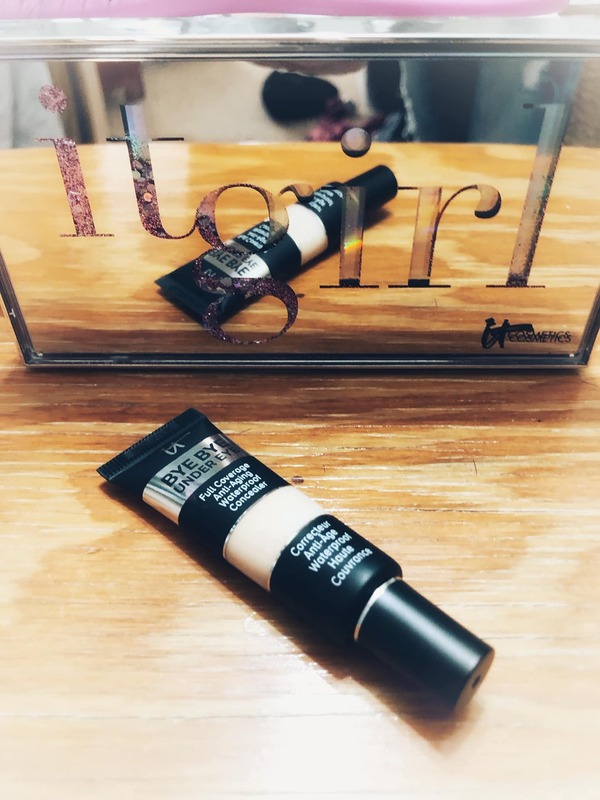 I am in my late 40’s now, and had first learned of the Bye Bye foundation and eye concealers from my mom (who raved about them and made me try them at her house). Based on the reviews of the product, it looks like we are not the only ones who love this stuff. I tend to get bags and dark circles under my eyes (just getting worse as I get older too), so this was an awesome find for me. The way you save the most on these products at Macys right now, is to combine promo code savings as well as rebate savings. First, they are offering up to an extra 15% off cosmetics when you use coupon code FRIEND at checkout. This offer is only good through this evening, so shop soon to use this extra promo code savings. And you will get free shipping on orders of $25+ or you can pick up in store for free. But that is not all the savings you can get right now. When you shop using one of our links in this post, you can also submit for a rebate up to $25! The rebate found here is good for $10 off your purchase of $50-$99.99 or $25 off your purchase of $100+. The rebate offer is good trough the end of the year. PLUS, you can get a free gift with IT Cosmetic Purchases of $50+. Combine all those savings for the best deal! IT Bye Bye Under Eye Anti-Aging Concealer Travel size is just $8.50 right now after the promo code savings. I just paid $26+ tax for the full size at Ulta, but you can get it for $20.40 after promo code savings here. Pay $42.70 after rebate for under eye product, foundation and free gift! I just paid $38 + $26 at Ulta (and had a $5 coupon, and they had a similar free product offer that was good Saturday only), so it cost me $59 + tax even after coupon savings there, so this is a much better deal and the best one I could currently find online! Find all of the deals on the IT Bye Bye Cosmetic products on sale here.